In this highly-developed cosmopolitan territory mixed with a lush green paradise, Hong Kong will leave you mesmerised. From the iconic skyline, to the hustling crowd; there is surprise waiting to happen at every street. Without a doubt, Hong Kong, a Special Administrative Region of the People’s Republic of China, has always live up to its tagline by bringing all the “best” in the world in just one spot. 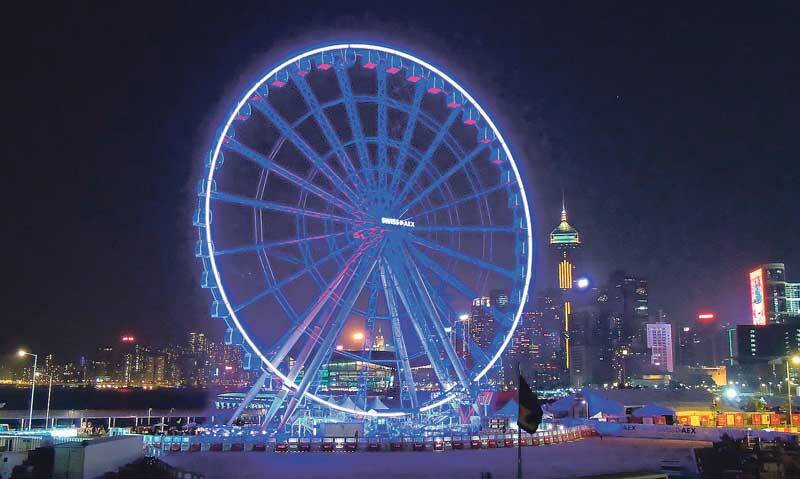 From accessible and interconnected public transits, family-friendly amusement parks, ingredients-rich Cantonese cuisine, countless markets for all sorts of products, down to the notable collection of skycrapers, just name it, Hong Kong has it. It was half past 10 in the morning when I arrived in Hong Kong after a two-hour flight from Manila. With numerous people immersed with their smartphones passing through and footsteps rushing to their errands on a busy Thursday morning, not a single thought dared to enter in my head. Still, I looked shamelessly bloated with bliss as Hong Kong has its own ways of making sure it would push the people’s so-called “pause button,” allowing the troubles they left behind to meet its relief — even just for a moment. Among the crowd of diverse people, whose names will remain unknown to me, and Chinese characters, that I surely know nothing of, Hong Kong sets a clear picture of what pleasure looks like for those who are equally alien of this territory—a picture that will make you venture this place filled with wonder, history, and culture. As it enters the phase of Spring from March to April, which other travellers have recognized as the “best time” to visit Hong Kong, the Manila Standard has listed down 10 places that you should see and experience during your visit to the known utopia for shoppers and wanderers alike. No one is too old not to connect with nature in this widely-recognized theme park. 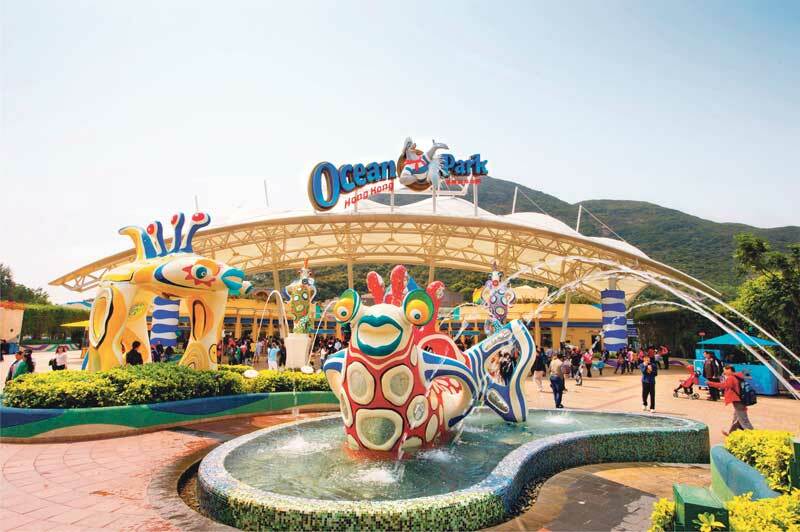 Ocean Park, a marine-life amusement park, engages families, especially children, to animal exhibits, thrilling rides, and a wide array of enjoyable yet informative shows since its establishment in 1977. The decades-old park has been highlighting programs that are all educational, conservation-focused, and equally entertaining. From over countless of shows and exhibits, two of the head-turning attractions in the Ocean Park are the ones that involved the giant pandas and the man’s best friend at sea: the dolphins. Housed inside a silence-observed dome called the Giant Panda Adventure, inimitable giant pandas act like a magnet to visitors as they roam, play, and, of course, doze off around their grassy habitat. These adorable mammals are a must-see when visiting the Ocean Park following their exclusion from the list of endangered species. Aside from the giant pandas, red pandas also reside in the dome to serve as “ambassadors” for their “increasingly threatened habitat.” With the attraction, the Ocean Park hopes the visiting public would appreciate the need to conserve these animals and keep them safe from any impending extinction. If giant pandas are much-loved, dolphins, on the other hand, leave spectators in awe as these highly intelligent marine mammals display their skills and friendliness during “dolphin encounters.” Inside the Marine Mammal Breeding and Research Centre, the Ocean Park allows visitors to experience interacting with dolphins “like never before.” You would also be able to give dolphins a pat on the back, tap their fins, and scrub their bellies, allowing you to understand how they communicate and interact with others. As the amusement park covers almost 90 hectares of land, some instances would require you to pause for a second after several minutes of walking (and trekking). After all, the park compromises two main attraction areas: the Waterfront and the Summit. Good thing though, the Waterfront Cable Car Station in Ocean Park enables you to take a moment and catch your breath while your eyes feast on the spectacular views of Hong Kong. As the gondolas can take you from one place to another and back, the cable cars are more than just a mode of transportation. Its very existence stands as an attraction itself. Hong Kong also prides itself in its own culture. And in order to showcase how was it back in the old days, the Ocean Park gives visitors a trip down to its memory lane. The “Old Hong Kong” attraction is the ultimate retro zone inside the park. This is also the most-Instragrammable spot in Ocean Park, reliving Hong Kong’s early days during the 1950s to 1970s. If you want to hit the hay over a day-long amusement experience, Ocean Park Marriott Hotel will surely cater to your needs. Just officially opened last month, the theme park-adjacent hotel houses 471 relaxing and aesthetic hotel guest rooms and suites. 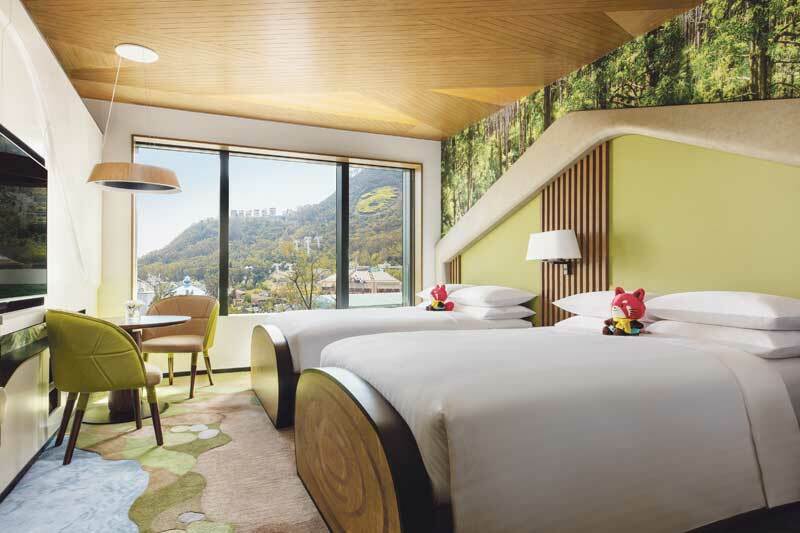 The hotel, composed of three large buildings, provides three theme rooms decorated with Ocean Park characters such as the Bao Bao Paradise, Whiskers Submarine, and Redd Forest. These theme rooms give guests with warm and airy ambiance, featuring oceanic-inspired decors with luxurious bedding and linens. It also houses a 16-metre high aquarium, a lush garden, lagoon, 24-hour Harnn Heritage Spa and fitness centre, pillar-free grand ballroom, alfresco dining, 10 interactive walls, and a whole lot of sea-themed decorations. Founded in 1954, the Mills building was formerly a cotton-spinning factory owned by Nan Fung Textiles Limited. The company reached its peak during Hong Kong’s booming manufacturing era in Asia. Since then, the Mills was known for its major contribution to the city’s manufacturing industry. Right now, the Mills emerges as a landmark revitalization project that celebrates industrial legacy through collaborations, innovative strategies, and new opportunities. The remains of the Mills building 4, 5, and 6, were then turned to an architectural and spatial avenues for design and cultural hubs to prosper. One of the noteworthy cultural hubs thriving under the halls of the Mills is the Cha Duk Chang Children’s Cantonese Opera Workshop. Started in 2002, Cha Duk Chang aims to promote the Chinese opera in order to get more people to acknowledge and experience the old Chinese acts. It also uses the Chinese opera to educate children on how to improve their innate skills, instilling concentration and continuous learning in their minds at such a young age. Cha Duk Chang caters to kindergarten students, both boys and girls. A spectacular waterfront promenade with literally touches of stars, there are no better ways to describe the Avenue of Stars. After undergoing a three-year refurbishment, Tsim Sha Tsui’s seafront remains one of the most visited spots in Hong Kong as it provides visitors a neon-like skyline of the cosmopolitan city. Bring your cameras out for Avenue of Stars showcases the handprints and signatures of famous personalities such as Jackie Chan, Jet Li, and a statue of Bruce Lee. Illuminating the skyline for over a decade, the Symphony of Lights, a daily multimedia show in the city, combines a narration and harmony of music and lights involving 19 different skycrapers situated in Hong Kong. There is no better way to spend the night in Hong Kong than waiting for the buildings to come back to life. The light and sound show, which lasts for 10 minutes, starts at 8:00 p.m. every night for free! Started in 2015, the Diner is based on the ambiance and atmosphere of a classic American diner. 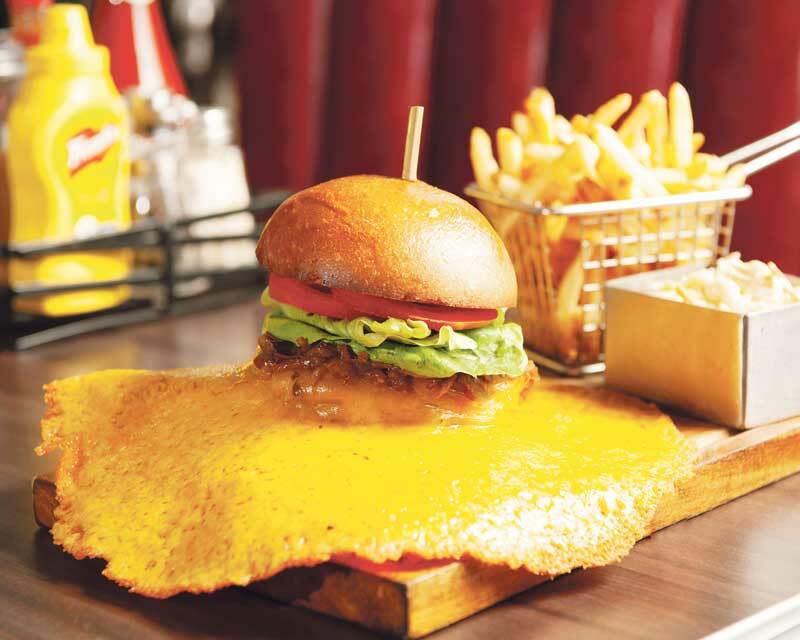 However, this modern-touched Diner in Hong Kong prides itself in offering healthier food choices, selling a variety of salads and milkshakes. Aside from crafting their own food out of their secret recipes, the Diner emits the coolest vibe with its vintage and classic furnitures. The Diner showcases a real Cadillac and Chevrolet car seats, a 1981 Galaga machine, a jukebox from the 1950s, and numerous car plates from all states of America. 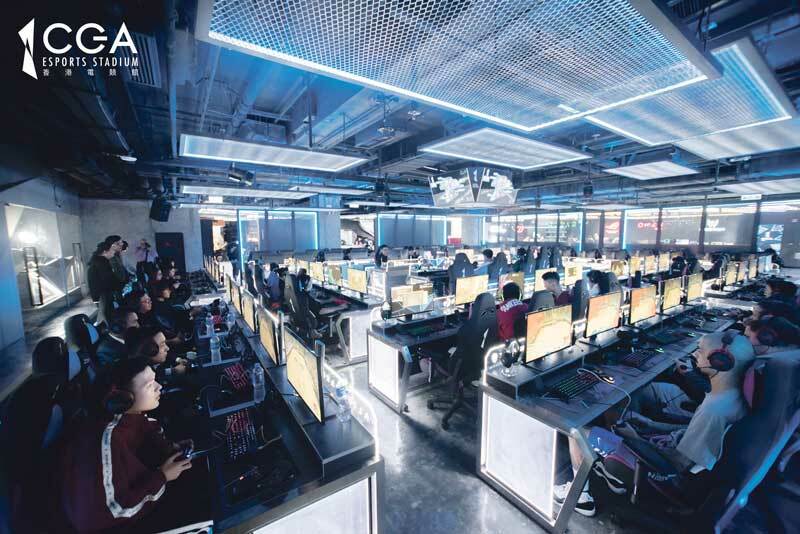 Established by three professional gamers in 2013, the CGA, which stands for Cyber Games Arena, eSports Stadium tops all eSports arenas in Southeast Asia with its unbelievably advance facilities and high-tech equipment. Tagged as the largest integrated eSports venue in Asia, the CGA provides a world-class gaming venue for amateur gamers and professional ones, aiming to boost Hong Kong’s eSports industry. The 25,000-square-feet facility compromise a competition arena for a maximum of 80 players using top-level and well-equipped computers. It also houses a retail area selling compute equipment, a studio for live international events and gameplay, and an independent area for experiencing a wide array of virtual reality games. Described as an evangelical Christian theme park emphasizing the concepts of nature, art, education, and love, Noah’s Ark is a tourist attraction that offers a full range of specially-designed exhibitions. 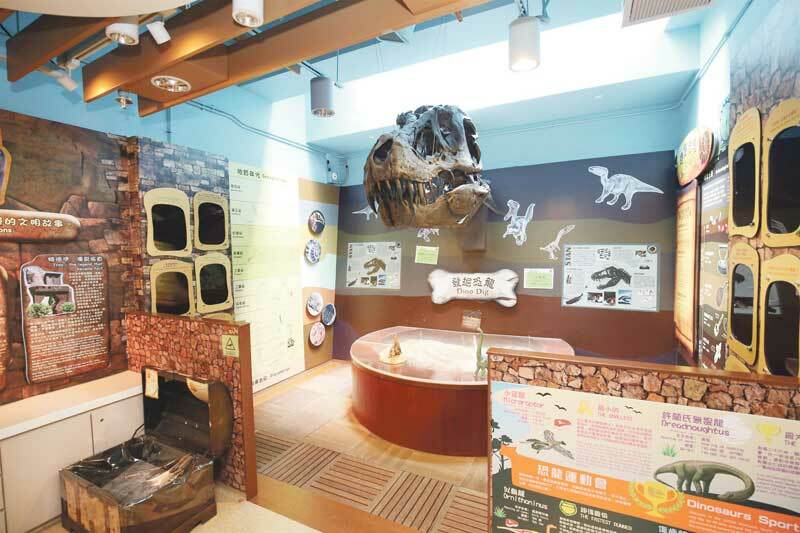 From educational showrooms to 4-dimensional mini theatre, Noah’s Ark guarantees a scintillating experience filled with entertainment, knowledge, and natural scenic beauty.